Now a closer look at each one of the Ten Must Have Dresses In A Women's Closet starting from the Little Black Dress or the LBD. Perhaps more than any other piece of clothing we have been told time and again that the little black dress is the essential, the one that will take you practically anywhere. Coco Chanel was the one who made it ubiquitous. 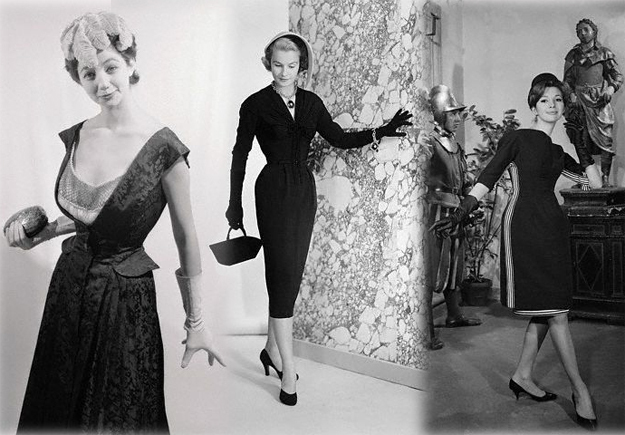 She did not invent the concept, of course, but the little black dress was not formally identified as the shape of the future until 1926, when American Vogue published a drawing of a Chanel design. It was an apparently simple yet elegant sheath, in black crêpe de Chine, with long, narrow sleeves, worn with a string of white pearls; and Vogue proved to be correct in the prediction that it would become a uniform. 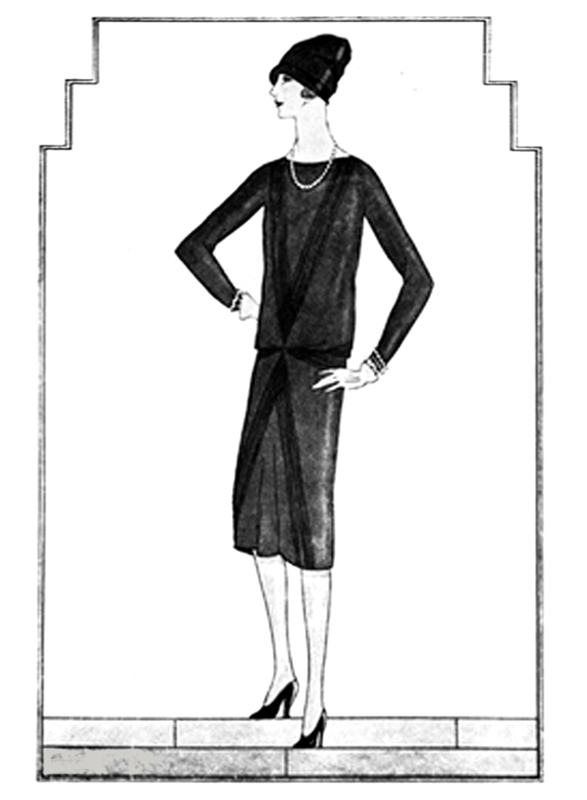 Chanel’s concept for the Little Black Dress was based on women’s increasing need and desire for comfort and versatility as they entered the workforce and became more physically active. 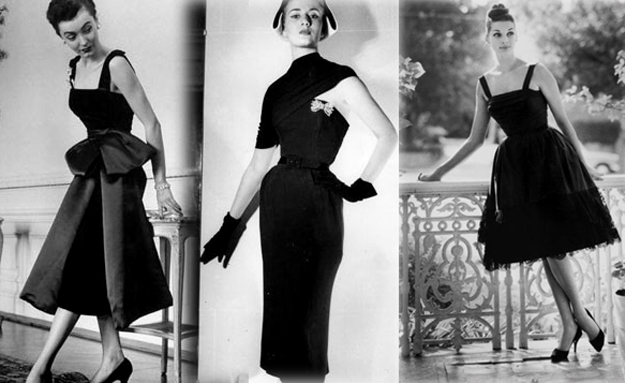 Post World War II, Christian Dior introduced his “New Look” – a line of extravagant, bountiful Little Black Dresses. Hubert de Givenchy presented his first couture collection in 1952, when he was only 25 years old, around the time of Audrey Hepburn’s arrival in the Hollywood spotlight. 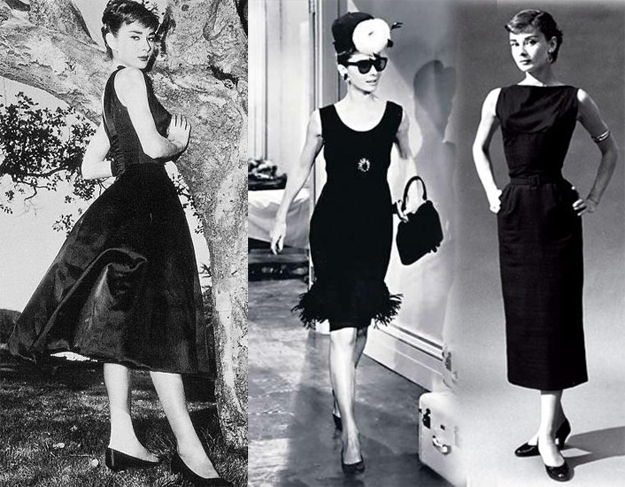 Hepburn wore several of Givenchy’s Little Black Dresses in Sabrina in 1954, but it wasn’t until she wore his Little Black Dress in Breakfast at Tiffany’s, in 1961, that it became every woman’s dress and a wardrobe must-have. The 1960s also ushered in the era of the mini where the hems soared high and 1970s the LBD got a rock spin to it where the emphasis was on little. The 80s and 90s had all style icons from Prince Diana to Madonna and Kate Moss wearing their interpretation of the iconic dress. Color theorists have identified 42 existing shades of black. And even in this century women all over the world from Duchess Kate to First Lady Michelle, from the Olsens to Kardashians, all love wearing the Little Black Dress. 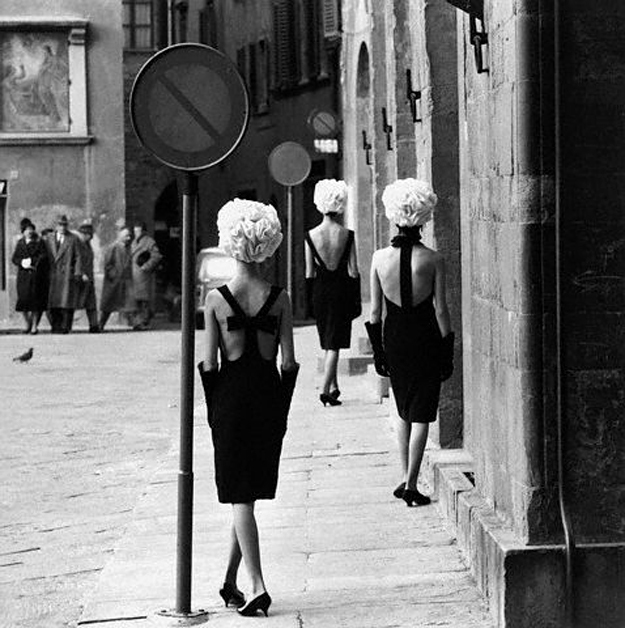 Finally, a look at some of the fun, flirty and favourite Little Black Dresses.